One of the highlights of the recently concluded Pittsburgh Comicon was getting to meet none other than Joe Sinnott, who gets my vote as the greatest comic book inker of all time. In his lengthy career Joe has inked what surely amounts to thousands of comics, but I know him best as the definitive Fantastic Four inker. He was there from the beginning - inking Dr. Doom's first appearance in FF #5 and then a long stretch from 1965-1981 - and he's shaped the look of the comic as much as any artist not named Kirby. In addition to inking the main title, Joe also had his turn at inking many of the spinoff Fantastic Four titles, such as Marvel Two-In-One and the solo Thing title. As I've often gushed over my love for the Thing as a character, I've always wanted to meet Joe and was thrilled to find out that he'd be attending the show. Every time I go to a convention, I take with me a sketchbook that includes sketches of the Thing - and only the Thing. Joe was kind enough to add his own rendition to the book, and you can see the result above. What a classic image! As impressed as I am by the 35-or-so other drawings in the book, this one takes the cake for sure. It was such a thrill to get to meet a comic book legend and one of my all-time favorites. Having a great time at the Pittsburgh Comicon. It's exhausting, though, which is why I will leave you with this picture of me in my brand new Jane Cobb hat that I won from the Science Fiction Alliance of Pittsburgh. And hey, check out Franks and Beans co-star Larry Franks in the background, looking thrilled as he sits at the table! More to come! Today was a pretty big day all around - for one, it was the first day of the Pittsburgh Comicon, and things went well. I'll toss up a few pictures from the show soon - right now, though, I thought I'd show off my great big mail day, and perhaps everyone can be jealous. It's okay if you're not, though. Etsy's Punkvixen sent me a few stuffed Yeti dolls that she put together. After a few adjustments made since the previous model, I will say that I'm really pleased with how these came out. I'm taking them to the con tomorrow, where I can hopefully send them to new homes. Artist extraordinaire Paul Tucker surprised me by sending some of his books, including a copy of Borderland from Viper Comics. Paul drew the Mr. 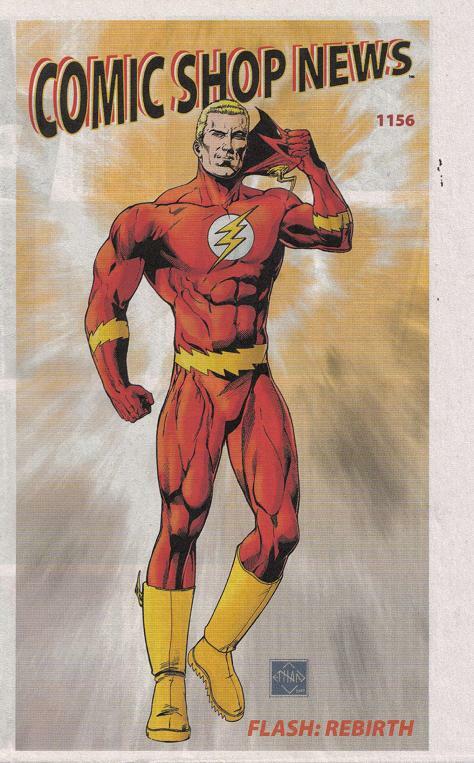 Massive story in the back of issue #2, in case anyone forgot - and this stuff is no less impressive. I got my shipment of Futurama toys in today - four in total. So take that, PuzzleZoo! I managed to snag all the figures I was missing. All in all, a pretty spectacular mail day. Pittsburgh Comicon, day #2 is tomorrow. Time for sleep. It's time for another EXTREMELY POPULAR random post from me, an extremely popular poster. And by that I mean the "placard intended for posting in a public place" definition...I'm feeling rather existential today. Anyway, it's almost time for me to pack up and head to the Pittsburgh Comicon this weekend, so I'll go over a few things that are on my mind. And by "on my mind" I mean...okay, never mind. That joke is dead. - The copyright-infringing poster you see above is from Wilmington area Fanboy Comics. 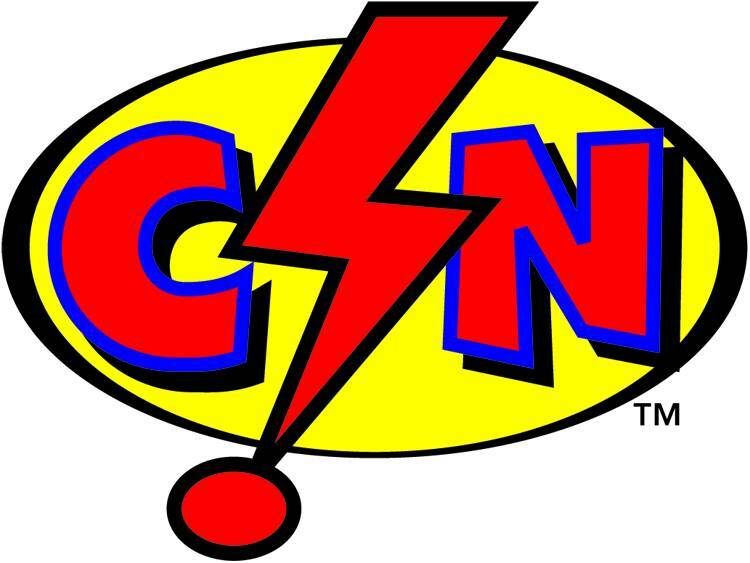 The comic store is doing a great thing by holding a food drive that supports the Foodbank of Central and Eastern North Carolina. Not that giving to the needy ever needs a tangible reward (just try not to come off as...gasp...a socialist! ), but Fanboy is giving away some swag if you bring in some canned food. Check it out! 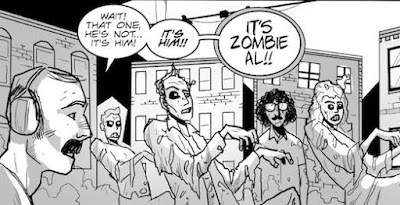 - Teddy and the Yeti issue #3 is on its way from the terrifying storehouses of New Jersey to the terrifying front porch of my parents' house via a terrifying UPS truck, where I will meet up with it soon. I should be getting both the regular edition and the extra terrifying convention edition at the same time, if all goes according to plan (I'll post pictures of things like the shipping box as always, don't worry). You can follow along here, because you're curious about shipping schedules, right? Perhaps it'll already be delivered by the time to check. 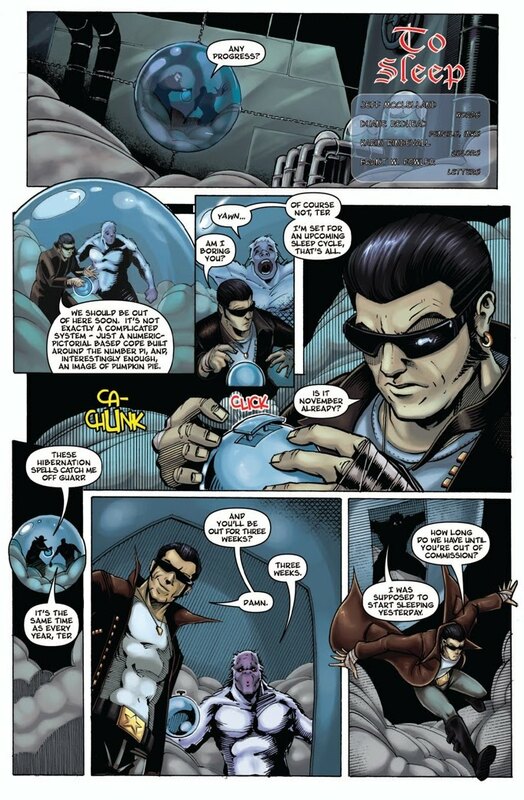 - My new friend Henry has once again done me a great favor by posting a preview of Teddy and the Yeti #3 on his always amusing "I love the Yeti" blog. 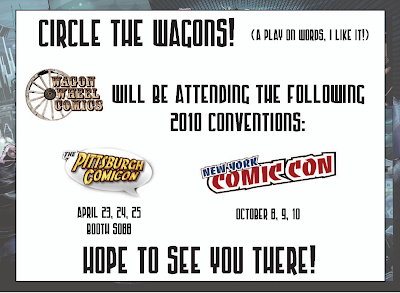 It mentions the Pittsburgh convention as well, which is great. Check it out if you already haven't - not just for the preview, but hey, that too. - I've briefly updated this blog by adding some resources and links. To see them, just look to your right. Really, it's there, just look...oh, okay, I'll post a picture of the VERY BLOG you're reading. 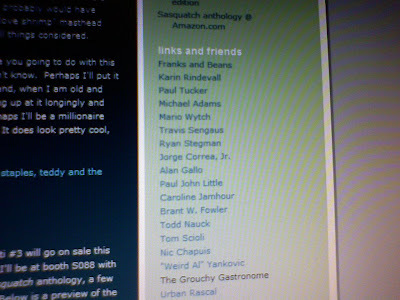 Specifically, I've added some "reference"-style material such as the Wikipedia page, online stores where you can buy Teddy and the Yeti, and links to fellow T&Y contributors, friends, and...Weird Al. Because I can. I'm planning on also creating a list containing the physical "brick and mortar" stores that carry the book...but I ran out of time. Soon. - I'm showing the movie "V for Vendetta" as an out-of-class assignment tonight where I work. I'm almost ashamed to say that I might just like the movie, as sensationalist as it tends to be, more than the Alan Moore-penned graphic novel of the same title. Hugo Weaving does a fantastic job. I've done this for a few years now, so I might have watched this movie more than any other movie in my life...but every time I push "play", I have to pay attention. It happens, I guess. - I'll end with something un-comic related, but familiar to those who read the blog (BOTH OF YOU). There's a new episode of the Internet(s) sensation Franks and Beans online. I'll embed it below, because...I feel like it. Enjoy! Oh, the Hulk. What strange catch phrases he has had over the years. In this case, though, I will stand up to the Hulk and say that he is dead wrong - first of all, the Thing could totally beat him up, and secondly, the banner you see above is absolutely great. I had this vinyl banner printed out at Staples (after much hair pulling and the realization that I apparently know more about computers than the computer people who work there...as a job) for the upcoming convention season. I picked it up on Monday, which was of course cutting it close as the Pittsburgh Comicon is on Friday. I suppose that all's well that ends well, or some other catchy cliche, because it came back without a hitch. 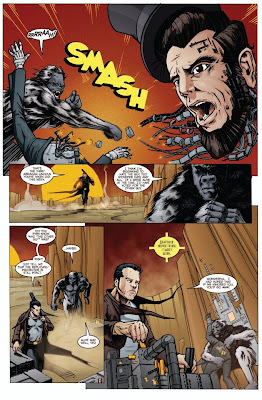 The banner is three feet from top to bottom and almost six feet wide and features an image of the Yeti taken from a panel in the book's first issue. It's one of my favorite images, as I also use it atop the letters page in the book and, if I had it at the time, it probably would have been used for this blog as well, though the "I love shrimp" masthead that you see on this page works pretty well, all things considered. Now the question naturally becomes "what are you going to do with this once convention season is over?" Well...I don't know. Perhaps I'll put it up in my garage (note to self: build a garage) and, when I am old and disillusioned, hide away from the world, looking up at it longingly and thinking about what could have been. Or perhaps I'll be a millionaire and it'll hang in the Smithsonian, who knows. It does look pretty cool, though. The time is almost upon us - Teddy and the Yeti #3 will go on sale this Friday, April 23rd, at the Pittsburgh Comicon - I'll be at booth S088 with all three issues, the Josh Howard Presents: Sasquatch anthology, a few copies of Strip Search and a few other things. Below is a preview of the issue; as I've mentioned before, this issue features three stand alone Teddy and the Yeti tales, including a colored version of their origin story, as well as a short backup story with the Ultimate Hero. The following is the cover and the first pages of all four stories (so if reading them in succession doesn't make sense, don't worry - you're not stroking out). The cover is by Godland's Tom Scioli, with Alan Gallo providing inks and Karin Rindevall on colors. 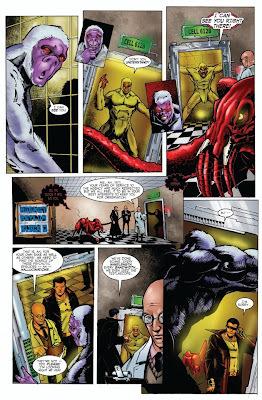 The interior pencils and inks are all by regular series artist and co-creator Duane Redhead, and there are a bevy of colorists in line for the Teddy and the Yeti stories: Giuseppe Pica, Karin Rindevall, Omi Remalante, Jr., and Paul Little. The short Ultimate Hero story is penciled by Travis Sengaus, inked by L Jamal Walton and colored by co-creator Mike Adams with help from Paul Little. The official solicitation info is after the preview. Hope to see you at the show! 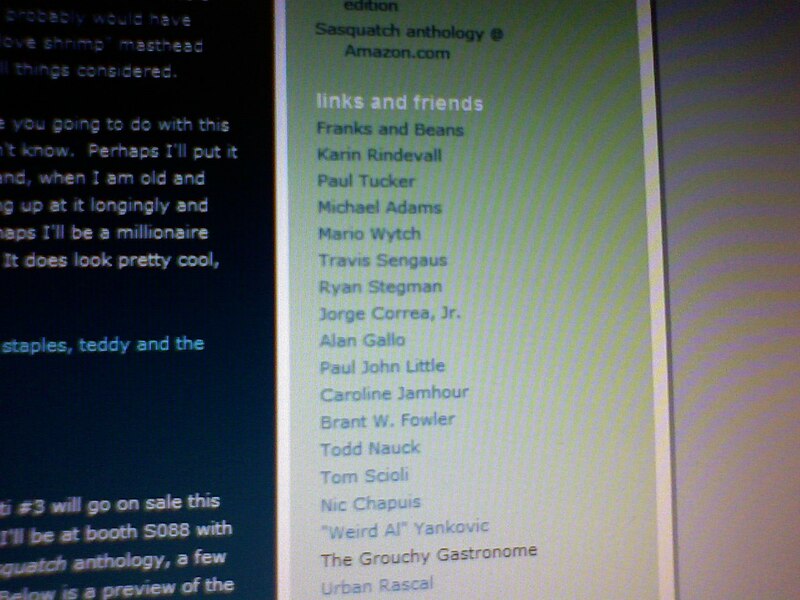 Look for the me there - I'll be the one shamelessly promoting this book. Also, I'm very attractive. Thrill to three titanic tales in the third issue of Teddy and the Yeti! Discover the origin of Teddy and the Yeti! Witness an undersea battle! And marvel at the one villain who could turn Teddy and the Yeti against each other! Plus: Ultimate Hero with Travis Sengaus and an interview with cover artist Tom Scioli! I realize that simply posting the ads I'm running in Teddy and the Yeti might come across as tedious. To this I have two replies: first, it's my blog. Second, I really do enjoy placing ads in the book, if nothing else than because they each mean something to me on a personal level. The "convention edition" (so special it warrants quotation marks) of issue #3, out NEXT WEEK! 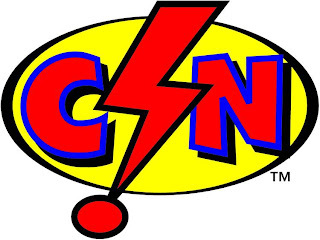 contains two new ads: the earlier mentioned convention listing and the above, promoting a new toy store that impresses me probably more than it should. Pop Culture Connection, located in Greensburg, PA - a suburb of Pittsburgh - got my friend Larry talking from the first time he stumbled upon it, and when I was visiting in February - the same day I was signing Teddy and the Yeti #2 at New Dimension Comics, actually - he took me to check out the shop. I didn't have very high expectations but even if I had, the shop would have exceeded them by a wide margin. I expected it to be a poorly lit garage with jumbles of old broken-in-half He-Man figures (you know, like most old toy stores), but Pop Culture is really nothing like that. I realize that I've devoted more time and money to collecting comics than is probably healthy, but even so I don't think of myself as having a necessarily addictive personality. That being said, I could go into debt in this store just buying things I don't really care about - it's that cool. Walls filled with toys in great condition, from the 1940s to the late '90s. We're talking old staples like GI Joe and Transformers, He-Man and Thundercats, TMNT and various super heroes, but also more obscure items like Snailiens. Do you remember Snailiens? I always assumed that I was the only one - I got most of these generic figures (and their enemies, the Lunarticks...really) back when I was 14 or so when a department store in town was having a going out of business sale. They've since been shipped off to their new home at the dump, which is a shame, because apparently they're one of the harder lines of toys to find and as such command a high price (not that I'd sell them...it'd be too emotionally stressful). 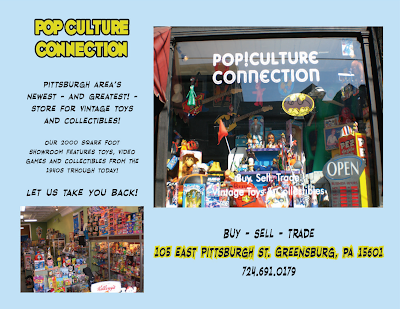 The owner of the store, a young guy named Jeremy, is really knowledgeable when it comes to toys and collectables in general, and it shows in how he's got the place set up. 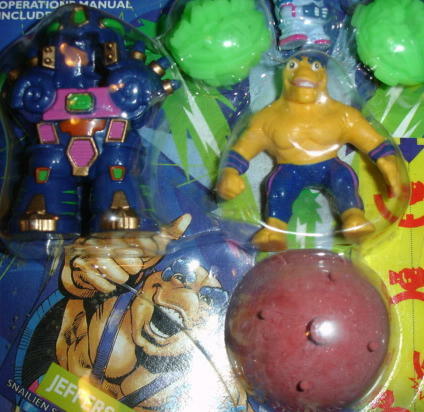 It's amazing how much crap was made and sold to kids - and it's equally amazing how nostalgic I got when I saw it all. Larry goes there to fill in his already burgeoning Dukes of Hazzard collection, and I go there to become poor. Actually, I've contained myself pretty well, but that's due to the fact that I live about 650 miles from the store. Still, I'm sure to make it back to Pop Culture Connection one day soon, and then...look out. I've got my eye on the talking Alf doll to give as a gag Christmas gift. I don't mean to be a walking billboard or anything - really I don't - but I was just THAT impressed by the store. I was even taken back by the stuff I have no interest in anymore - Smurfs and Pee Wee's Playhouse and the like. If you live in the Pittsburgh area, you need to check this place out. With the 2010 convention season approaching for me, I went looking for an article I wrote for the website Comicdom Online after the 2006 San Diego Comicon. My buddy Artboy_X and I, wide-eyed and still wet behind the ears (as opposed to now where I am old and bitter), brought Mr. Massive to the con - and immediately got overwhelmed by the grandeur of it all. I'm expecting more of it when we take Teddy and the Yeti to the New York Comic Con this year, though hopefully we'll all be a bit more prepared. 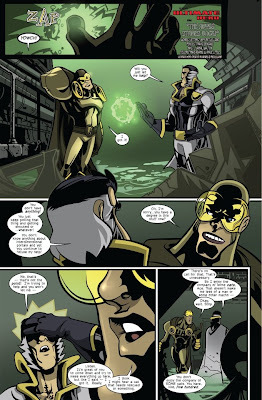 Comicdom Online is primarily a Greek website, so I have no idea why I got to publish an article there - really, the artist of the book just e-mailed me shortly after and said "write something for these guys", and I did. I wonder if the site's regular readers went to my article and had no idea what it said. I realize that it's more likely for people from Greece to speak English than it is for Americans to speak Greek (we're kind of jerks like that), but still...I have no idea what most everything else on the site is saying. The picture links are down on the article, but I've reposted most of them in any case, and you can see some here and here, if you click the links. You can read the actual article here, with my tips on convention-ing for those sitting behind a table. Yes, sigh, I called it "An Explosive Point of View" because the name we gave the 'company' was "Explosive Comics". Don't judge. I'll paste the first paragraph or two here; be proactive and read the rest on your own. Do it. Do it! 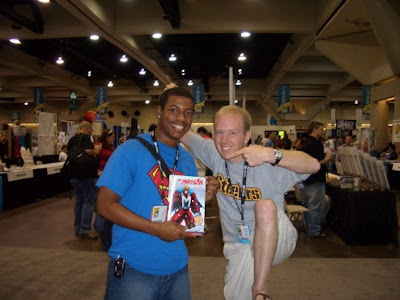 To put San Diego's 2006 Comic-Con International into perspective would be a difficult task from any standpoint, but seeing as this was my first encounter "behind the table", so to speak, the undertaking seems an even greater challenge. 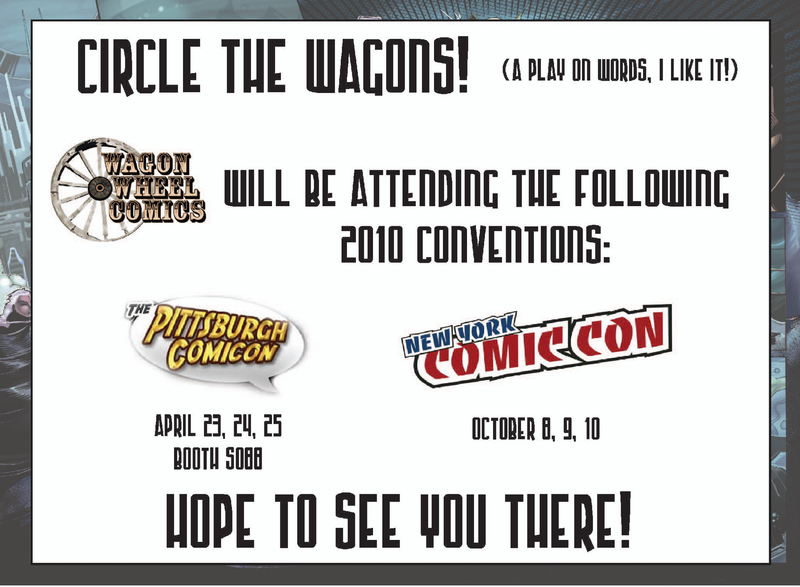 Growing up near Pittsburgh, Pennsylvania, my initial experiences with comic book conventions were limited to yearly visits to the Pittsburgh Comicon, the name being fairly self explanatory. The Pittsburgh convention continues to be a well coordinated and enjoyable show, but my perceptions of what a convention could be were shattered the first time I ventured to the other side of my state for Wizard World's Philadelphia convention, as the fanfare and sheer size of the venue left me feeling lost in wave after wave of exhibitors and both established and burgeoning companies. San Diego's show, then, is the next step upward from that experience. It is wonderful and it is overwhelming. It is incredibly taxing but it is supremely worthwhile. The above advertisement appears in the special "convention edition" of the soon-to-be-released Teddy and the Yeti #3. I decided to check out a folded titled "logos" on my desktop one day and said, "what am I going to do with all these logos? I have way too many. Perhaps I'll create an advertisement and put in as many as I can." And thus was born this eye-catching gem! 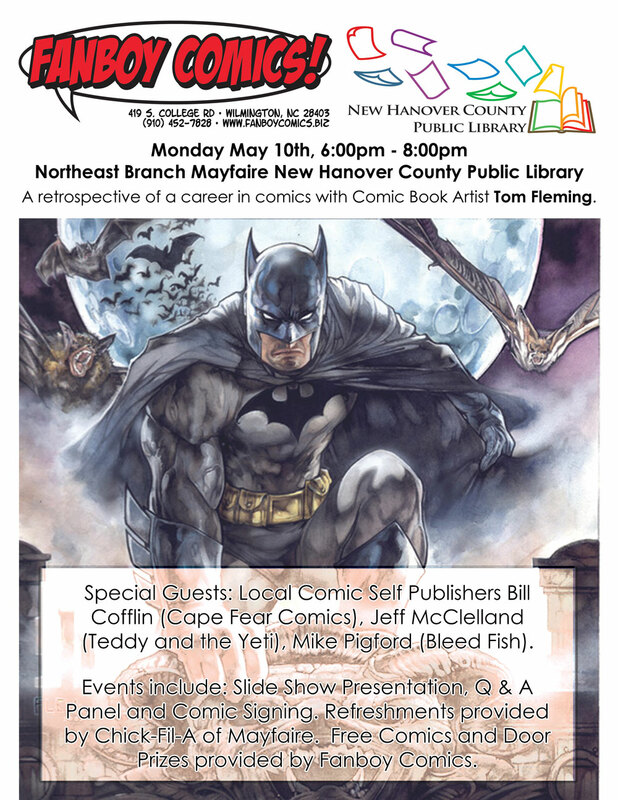 Wilmington area Fanboy Comics is promoting an upcoming Free Comic Book Day-related panel at the New Hanover County public library just about one month from today. This event will feature a presentation by artist Tom Fleming and a question and answer session with Fleming and several local creators, such as...uh...me. What fun! But really, Chick-Fil-A will be there giving out sandwiches of some sort, and this is what I'm most excited about. Chick-Fil-A makes such great chicken sandwiches - I had never eaten there before moving to Wilmington, and every day of my life I lament all of those missed opportunities. If you've never had some Chick-Fil-A before...do it. Delicious. I'm still a little short on the details of this event, but Mr. Fleming will also be attending the upcoming Pittsburgh Comicon, so I'm planning on hassling him there to figure out just what I need to do to prepare. I do know that I'll have the third issue of Teddy and the Yeti with me at that time, and there's a planned signing event at the library after all the other festivities are concluded, so if anyone wants to drop on by and pick up the complete T&Y run so far, I'd be happy to do my part. Also, there will be chicken there. Did I mention that? Someone please invent a time machine. A week or so ago I had a conversation with a very nice Teddy and the Yeti fan from the spacious state of Texas. She bought the first two issues of the book, and I wrote to thank her and to ask how she had heard of the title - I'm always curious how people find the book, especially when they are from Texas, where I've found few inroads so far. She mentioned that she had seen the first issue listed in an issue of Comic Shop News, which resulted in my head exploding. But only in a metaphorical sense. 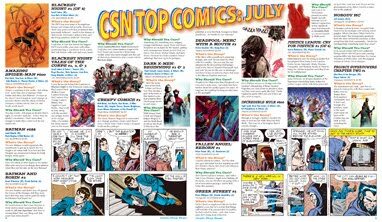 Comic Shop News is a weekly promotional publication that many comic shops give out; it previews upcoming books and has a few other features - articles and the Spider-Man newspaper strips, for example. It's mostly used as a tool for comic shops to suggest new books to customers, as it lists titles and short descriptions of new releases. I'd imagine that if Teddy and the Yeti was included in an issue it would be as a simple four-to-five line text piece with the official description, but still...I need to find a copy of this. If I had to guess, I'd say that Teddy and the Yeti would have appeared in an issue distributed sometime in October 2009, which is when the book was listed in Diamond's Previews catalogue (the picture at left is just a random recent issue; not necessarily the one I'm looking for) and two months before it was supposed to ship through Diamond. As this publication has a limited span in which it is relevant, I can't imagine that many copies from last year are still around to be had - but then again, comic book fans are nothing in not stringent collectors, so I guess you never know. In any case, if anyone reading this has any leads I might be able to follow, I would really appreciate the help - having a Teddy and the Yeti reference in a publication such as this is pretty cool, and I'd like to own a copy ("Oh, Zoidberg, at last you're becoming a crafty consumer! Hello? I'll take eight! "), even if it's nothing more than the same thing that was in Previews. My ongoing struggle with Toyrocket/PuzzleZoo: why I hate them. Back in November I briefly mentioned that I had placed an online order with the toy company Toyrocket: they were having a great sale in which everything on the site was between 50-90% off. This was destined to be too good to be true as the sale was more a result of the company going out of business and trying to sell off as much of its stock before it closed up shop. This unfortunately had the added consequence of screwing me over and taking my money. Okay - that's not entirely true. The store did ship the things I ordered that were in stock, but the two preorders and one backorder I placed never did arrive, and as I expected, they now never will. Thank you for contacting PUzzleZoo. We are sorry that we are not able to help you with your Toyrocket order. Toyrocket's estate is being administered by a consulting group called Broadway Advisors, LLC. You can find information about Broadway at www.broadwayadvisors.com. Tell them you need information about how to submit an admin claim against the Toyrocket estate for a refund. They should be able to direct you. We apologize for the confusion and hassle and hope that this information helps. Although we purchased Toyrocket's assets, we are not Toyrocket and hope you will give us the opportunity to serve you one day. Thank you again for contacting us. This, of course, goes pretty directly against what they had previous said, but it's not like I had many high hopes for them to come through for me. I wrote back asking what they meant by the first quote and did not receive any further response. I did try to contact Broadway Advisors, but - surprise! - they haven't returned any of my correspondence to this date, either. This is why I (naturally) won't be buying anything from PuzzleZoo, and I hope that this "buyer beware" warning might cause others to think twice before doing so as well. I realize that not all of this mess is PuzzleZoo's fault, but they shouldn't be making promiseds they couldn't keep if that were the case. I saw this while walking through Wal-Mart a few days ago. It's Batman-themed underwear with some classic Jim Aparo artwork adorning the cheeks. 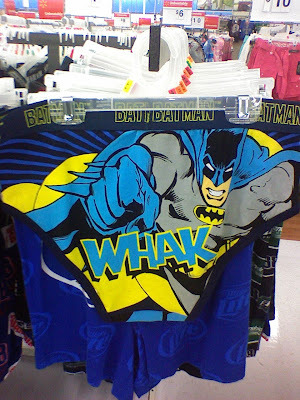 Upon seeing them, my first thought was "I don't think I'd choose to put the sound effect 'whak' on underwear. It's rather suggestive." I thought about opening this post with some April Fool's Day joke, like "I'm quitting Teddy and the Yeti!" or something similar, but I find that I'm never very good at them because I can never see them through. Because of this, and because everyone is expecting them, I tend to avoid them altogether. Now that that's out of the way, I am quitting Teddy and the Yeti forever. APRIL FOOLS! HA! That was actually pretty fun. Anyway, I realize that sometimes coming to this blog every day just does not satisfy your need for my random thoughts, and there are times when you would enjoy hearing what I have to say on things other than just comic books - shocking, I know! That is why I sometimes write about other things...and then blog about them. It's both a gift...and a curse. But perhaps you can be entertained by them, so I will give you the heads up below. 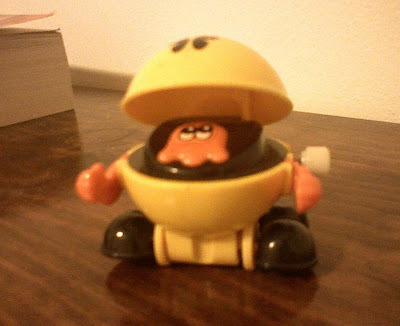 First on the list is an old favorite, The Grouchy Gastronome. I've published things before on this site dedicated to food and anger (perhaps not in that order), and I'm at it again. 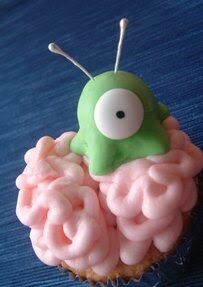 In the coming weeks you'll find semi coherent ramblings from me on topics like burning in Hell and why people decide to eat food in Wal-Mart without paying for it, but for now there are my less inflammatory posts regarding Futurama-themed cupcakes and a suspiciously similar one on Spider-Man and his infatuation with wheatcakes. Next up is Franks and Beans. We all know that Franks and Beans is the place to go for videos that relay the inherent humor in growing a mustache, but did you know that I also write about WHY mustaches are so funny?! Well? DID YOU? Now you do. The blogs I write for that site are thorough to the point of being obsessive, and as such no one but Larry reads them, but I have fun with them just the same. The latest one I posted has to do with our 26th episode, "Replacement Larry", which I'll embed below. These are just some of the ways in which I help you waste time on a daily basis. You're welcome.